It’s Official, I’m a Contributor! What do Marlo Thomas, Alec Baldwin, Harry Shearer and yours truly have in common? We’re all unabashedly brilliant people? Nah. 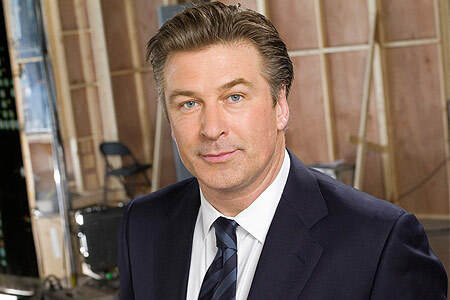 Huffington Post Blogger Extraordinaire and Actor, Alec Baldwin--and star of NBC's 30 Rock, too! We’ve all got chutzpah with a side of moxie? Getting warmer. That we all star in NBC’s 30 Rock and have won countless Emmy’s? Nope! Only one of us can claim that. We’re all bloggers for The Huffington Post! Yes, I can now safely say, it’s official. With six posts under my belt, I’m happy to report that I’m a regular contributor to the Huffington Post! Of course some of you already know this, but for those of you who don’t, you should know that I’m pleased as punch in July. And, knock on wood, if I play my cards right, this is only the beginning. Turns out, I have a thing or two to say about divorce. In fact, having been through one, I am now considered in some circles (consisting of me and my dog, Henry), to be an expert! I can tell you just about anything you need to know about divorce and you can trust my expertise, as much as you can trust anything you read in Wikipedia. And honestly, you can take that to the bank! Starting soon, I’ll also be blogging for The Huffington Post’s new section, Huff/Post 50, for which I’ve already contributed my first piece! This is a new section just for people like me. And by that, I mean, Baby Boomers. Finally, a section we can call our own! I definitely know a thing or two about what it’s like to be a Boomer. So, if you want to know more, just visit my bio at the HuffPo web site (Now that I’m on their blogger payroll—which means I receive no monetary compensation—I can refer to The Huffington Post by its nickname: HuffPo). I’m told it’s an insider thing and a term that only insiders—like me!—get to use. Which makes me pretty special, don’t you think? You can also see a list of my posts, here on my blog, by clicking on My Huffington Post Stories page. So the next time you have a question about divorce or the Baby Boomer generation, just ask me! 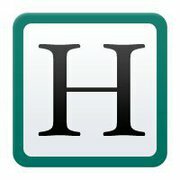 Drop me a line, post a comment, and maybe I’ll respond by writing it up for The Huffington Post! Now, if I can only get to meet Arianna. Then, my life would be complete! Who knows? Maybe I’ll even get invited to Arianna’s holiday party (assuming she has one). And maybe Alec Baldwin will want me to give him a ride there. That would be très spectacular! I can’t wait to see what’s in store next for me now that I’ve hitched my wagon to The Huffington Post star. Whoopee! Congratulations, Monica! I know I’m a little late. I got behind on all my She Writes stuff. Anyhow, you deserve this and have earned it! No worries. I get behind ALL the time! I’m just glad you stopped by with all your wonderful comments. Thank you!! Well done you!! I see that Robert Redford is also a Blogger for the Huff! You are definitely part of an illustrious group! Congrats! This is awesome. I have been following your blog will glee. You are better than a 10:30 coffee to jump-start my mid-morning work session. I love to laugh or cry with your latest tale. I’m so glad you are going to reach more readers. Thanks, Judy! It’s great to hear from you. I’m so glad my stories are able to jump-start your day. Keep reading! And tell Ken to do the same! Congratulations! So glad to hear you’re moving and shaking in all the best ways. This is my first visit to your site; I found you as part of The Lady Bloggers Society Tea Party. Looks like I chose a great day to come by–congratulations! Thank you, Christine. Glad you discovered my blog and I hope you come back! Hi Monica, I came here via your welcome message to me from SheWrites. Thanks and congrats on your news! What fun to be a part of Huffington Post on a subject near and dear to your heart. I’m looking forward to reading them. Thank you! Yes, I’m thrilled beyond belief! And now I have access to the HuffPo’s backstage area, which is kind of like an employee lounge with a bulletin board about upcoming plans for the website, and a place to upload your stories. It’s so cool! Monica, that’s incredible! It’s every blogger’s dream to be up there and through your hard work you’ve achieved it! I feel quite privileged to have read this (and thank you for your beautiful comment on my blog earlier). Always suspected you were awesome and now it’s official. Congrats! Thank you so much, Judith! Honestly, you’ve made my day! Congrats, Monica! I just went to Huffington Post and I can’t find the post 50 section. Is it up yet? I’d love to see your post. And I guess I’m a real rube but if you’re not getting paid how are you being compensated? Is it the exposure because Huffington Post is so well known? Oh my gosh this made me laugh. Big giant congratulations! That really is pretty damn awesome. 🙂 Stopping by from the tea party btw. Ha ha! C words are in! Thanks for stopping by from the Tea Party! I’m loving your Huff Post columns too. Keep it up! Thanks so much, Leah. Sorry we didn’t talk this week, but def next, ok? Now that you’ve formed part of the Huffpo posee, I’m sure your Klout score has hit the roof! hee hee! Congratulations, amiga! And for your information, Roxy’s name and my name should be added to yours and Henry’s to the “circle considering you a divorce expert.” Your divorce stories have not only provided emotional support, they’ve been more therapeutic and laughter inducing than Dr. Phil’s advice! So make room in the circle! There’s two more members! 🙂 I’m excited at your wonderful news, M.! Make us proud, mamacita! Let’s not talk Klout score. For some reason, mine keeps sinking, no matter what I do. But let’s talk about my inner circle. I could hug you both! I love that you and Rox want to be in my inner circle, believing in me and my expertise in matters of the heart or heart-less. 😉 You and Roxy make me proud EVERYDAY. Abrazos! Thanks, Thelma! I always appreciate you stopping by! Thank you, I couldn’t have done it, though, without my local readers and commenters. So, thank you! Monica, congratulations!!!! how absolutely brilliant you are. So proud of you. Well done. I hope you go and see Tinker, Taylor, Soldier, Spy.. can’t wait to hear what you think about it. Thank you! It’s like a dream come true! That is some fantastic news. Hope you’re celebrating in style! Congrats!!!! What a great company you are with!!! Thanks, Doreen. I so appreciate your good wishes! On behalf of those of us trying to create a new dialogue about divorce and its implications: You go girl! We know you’ll represent. Congratulations Monica – this is so exciting, and frankly, not unexpected considering your level of talent. By the way, can I now refer to you as MoHuffPo? Congratulations, Monica! I’m so glad that your hard work is being recognized. Keep those stories coming! I will, I will! Thank you, so much, Shary! Wow, that is AWESOME! Congratulations, I am very happy for you.